The SCORPION is a mini Longboard – with its wide round nose and pulled in tail the board will glide easily over flat spots and turn well making it fun in the smaller surf. The board has a flat entry and exit rocker and is packed with volume. 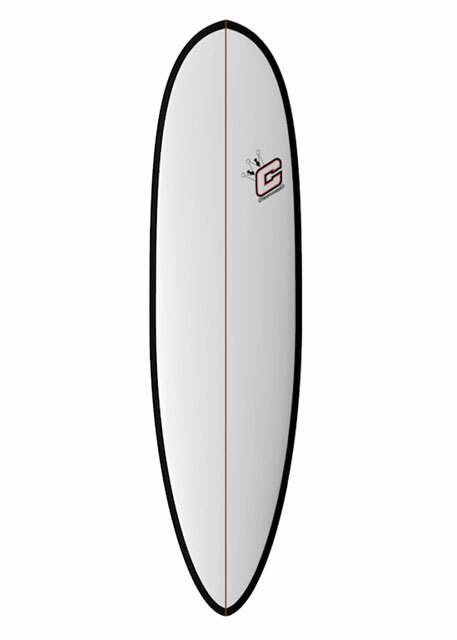 The board is best surfed with a small single fin and two side fins to give you that classic longboard feel. Ride this board at your maximum volume for float and fun. Nose ride this little guy all the way to the beach!